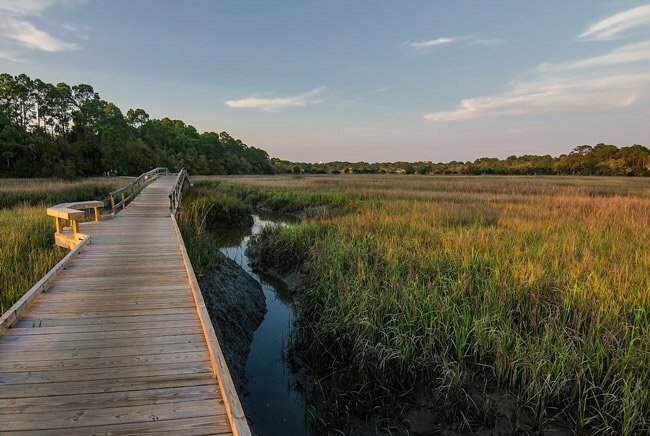 Fripp Island (often called just Fripp) is a 3,000-acre resort located on South Carolina‘s southern coast between Charleston and Savannah, Georgia. 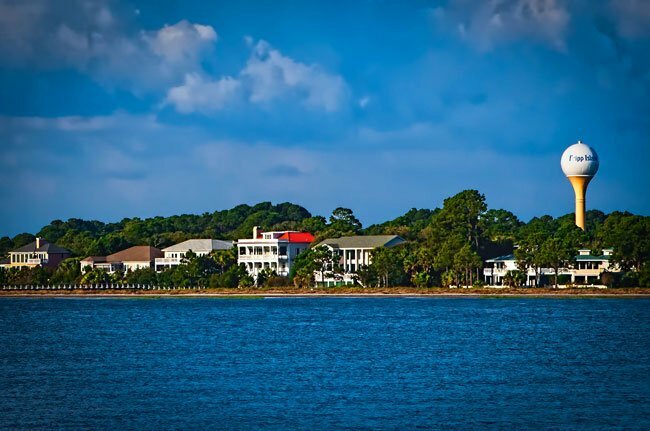 It is a gated community with 3.5 miles of beaches, two championship golf courses, a marina, and a nature trail maintained by the Audubon Club. Golf carts are used about as much as cars on Fripp, and deer roam the island in abundance. 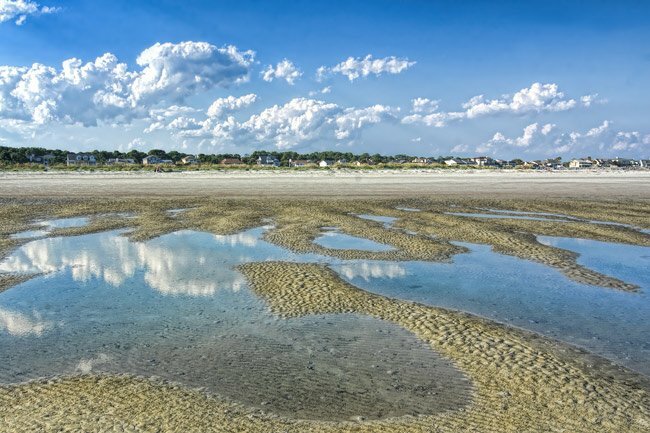 Fripp’s history is layered with pirate lore, as the feared pirate Blackbeard is said to have used the island as a hiding place for his pillaged wares. Rumors of pirate treasure linger over the island, and locals love to share stories of swashbuckling with visitors who then hit the sands with metal detectors and high hopes. 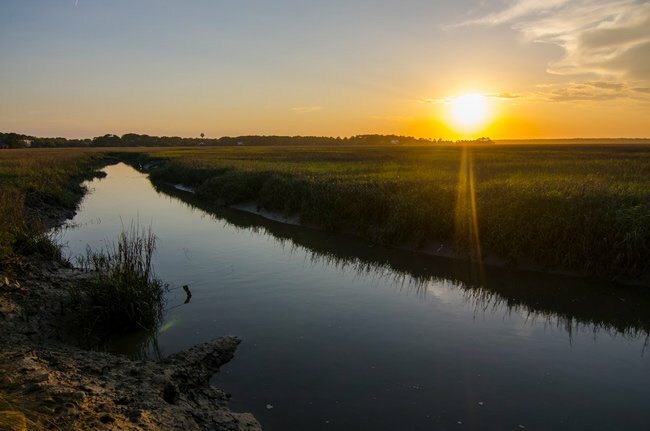 The island was named for Captain Johannes Fripp, a 17th century British sailor appointed by King Charles to protect nearby Beaufort from the Spanish and the French. Many have accused Fripp himself of being a pirate, his status as a privateer leading to cozy relationships with other rogue “sailors” who ventured onto the island. King Charles later deeded this island to Captain Fripp to thank him for his success at defending the colony. A bridge to the island from the mainland was built in 1963. Prior to then, Fripp could be reached only by boat from Hunting Island State Park. Since then, the island has become a private, developed community with fewer than 1,500 homes, though its natural beauty is still abundant. 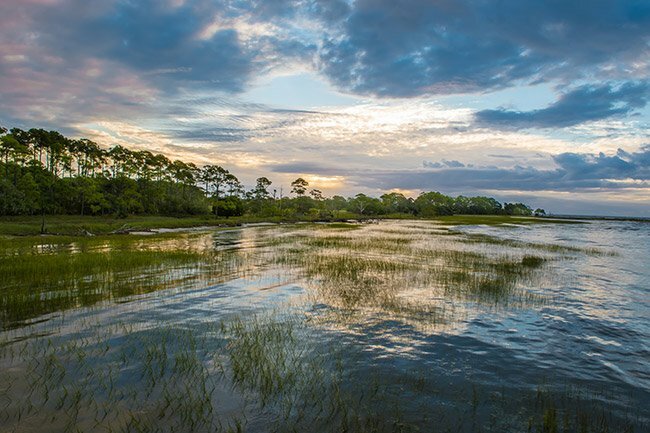 South Carolina author Pat Conroy, who penned Lowcountry novels The Prince of Tides and Beach Music, among many others, is Fripp Island’s most famous inhabitant.